This was very good. Seeing as it came out in the early 90s, I’m not surprised when people say it went on to define the genre. It’s clearly a thriller, but the horror elements are pretty creepy as well. 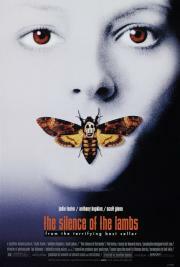 Jodie Foster is very good and Anthony Hopkins is practically flawless as Hannibal Lecter. The story keeps you on edge or guessing almost the entire way, which is impressive in my book. Loved Shores score. Solid work from all and definitely worth watching for the performances alone.